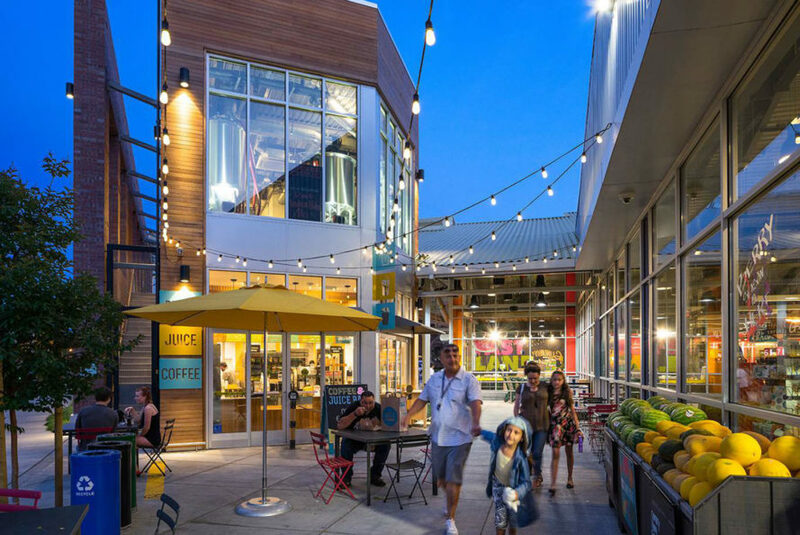 The store is divided into two separate structures: a 27,000 square foot single-level grocery store and a 5,900 square foot open-air brewery building, operated by Mission Creek Brewing Company. 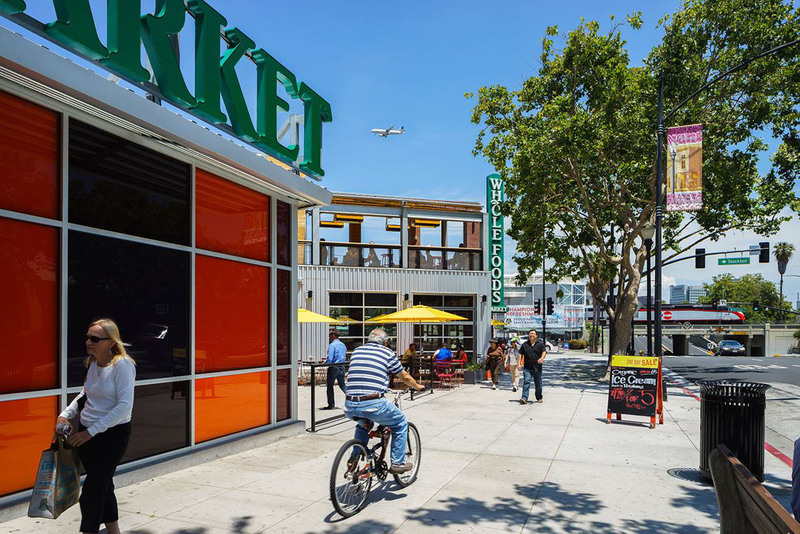 The two buildings are linked by a covered, outdoor marketplace filled with produce and floral displays, which also creates a pedestrian connection between the street and the parking lot concealed in back. 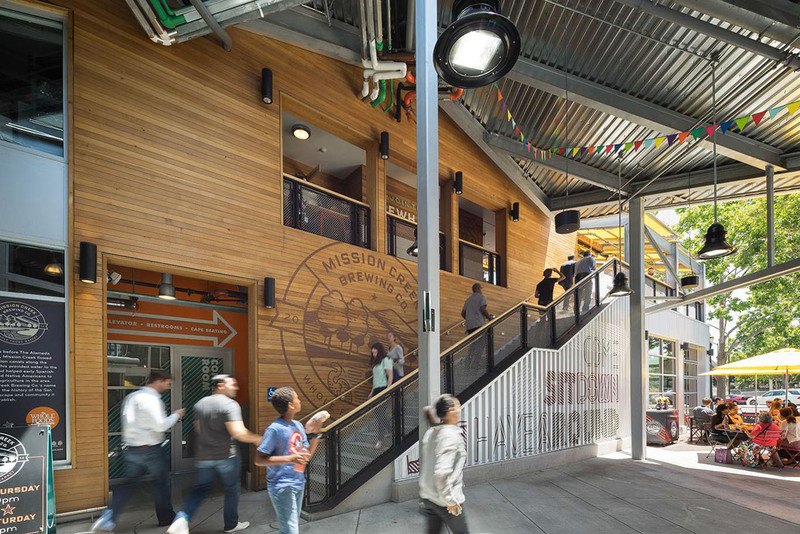 Curious pedestrians can glimpse the production areas of the brewery through large, open windows. 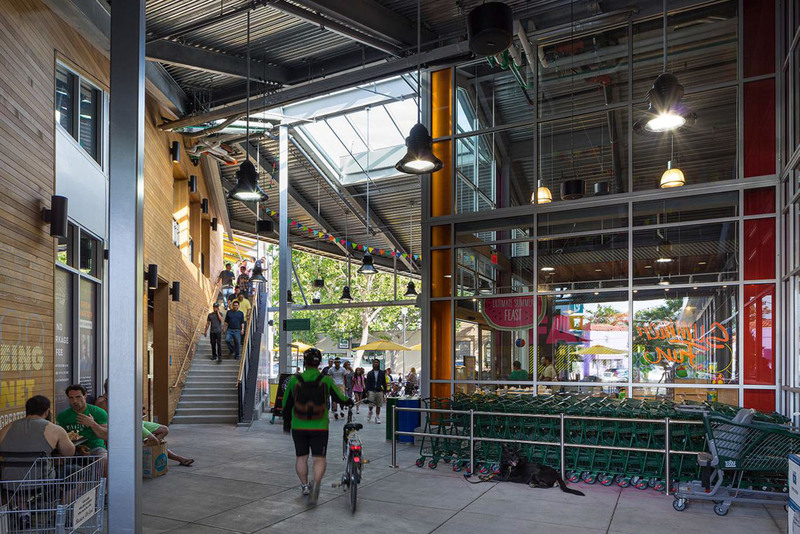 This particular Whole Foods location is also just one of a few grocery stores in the nation to use 100% natural refrigerants in order to minimize contributions to global warming. The freezer and chilled aisles rely completely on carbon dioxide and chilled/hot water loops. 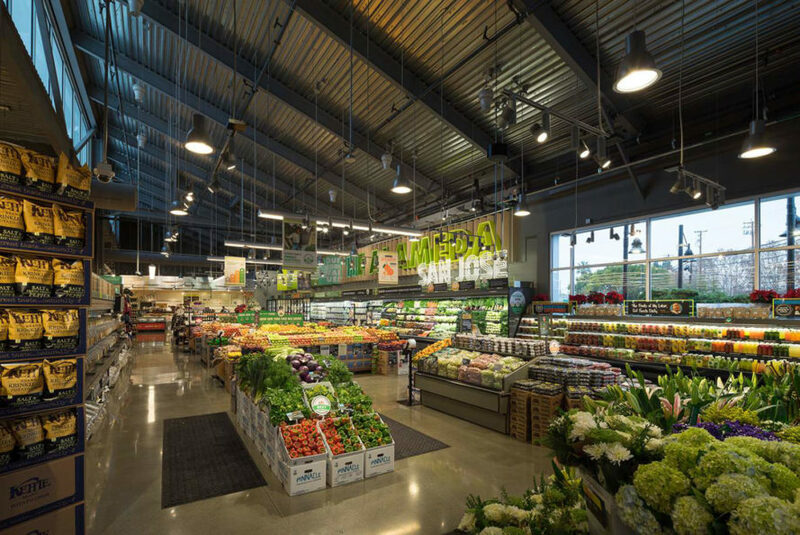 Any heat from the refrigerant gas is captured by hot water reclaim tanks and used to generate potable hot water for the store. Even more exciting is the fact that the store is almost entirely run off the grid. An onsite heat and power plant tied to a generator system produces 90% of the store’s electricity, and a number of the building's features are designed to cut unnecessary power consumption. Not only is the building peppered with skylights to maximize the amount of natural light flowing into the store, but the building’s open-air design provides passive cooling.